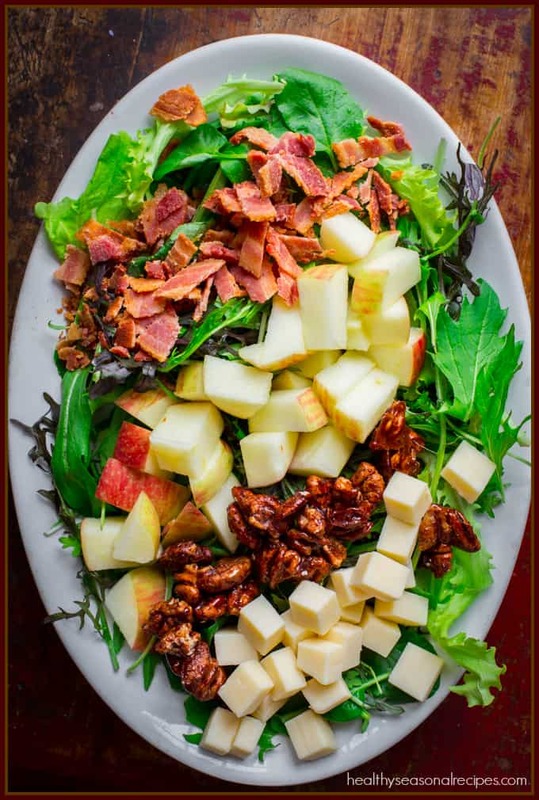 A flavorful seasonal salad with chunks of Cabot White Oak Cheddar, sweet Vermont apple, spiced nuts and crumbled smoky bacon for fall. 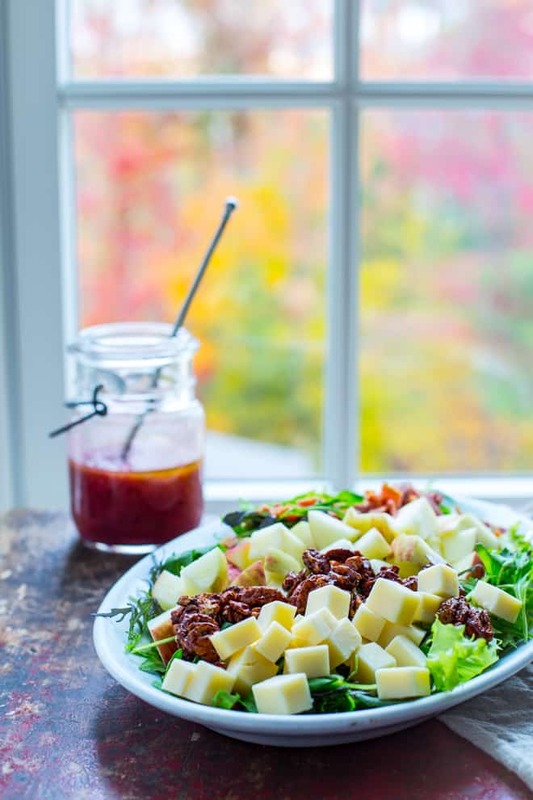 Easy enough to make for lunch and special enough for Thanksgiving. I guess, the cooler temperatures, have inspired me to turn on the oven, and just bake and roast everything I can get my hands on. It’s full on frost season here in Vermont. Our village had our last Farmers’ market for the year a few days ago. The foliage is coming to an end here, and it is only getting up into the fifties during the days. Our new pond is almost completely full of water from all the rain we’ve been getting. Pretty soon, I may actually pull out my winter boots. 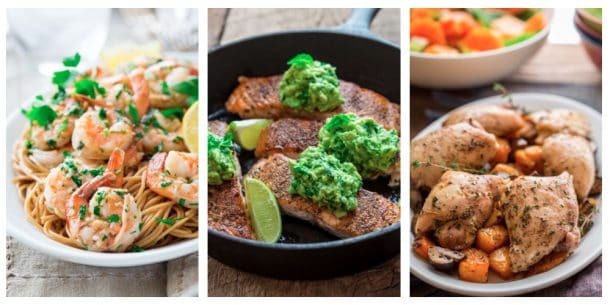 My cooking reflects that seasonal shift. But I have been getting in my usual bathtub sized salad bowl to balance it all out, I just haven’t mentioned it for weeks and weeks. 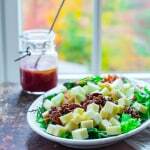 In that time, I have made the switch from summer tomato or cucumber salads to cold weather salads. Know what I mean by that? 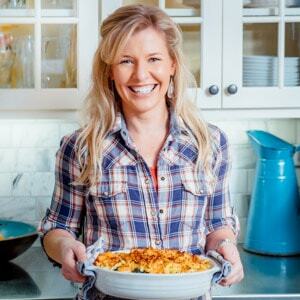 Have you been using your oven a whole lot more now that it is fall? Are you still eating salad? What is the foliage like in your area? 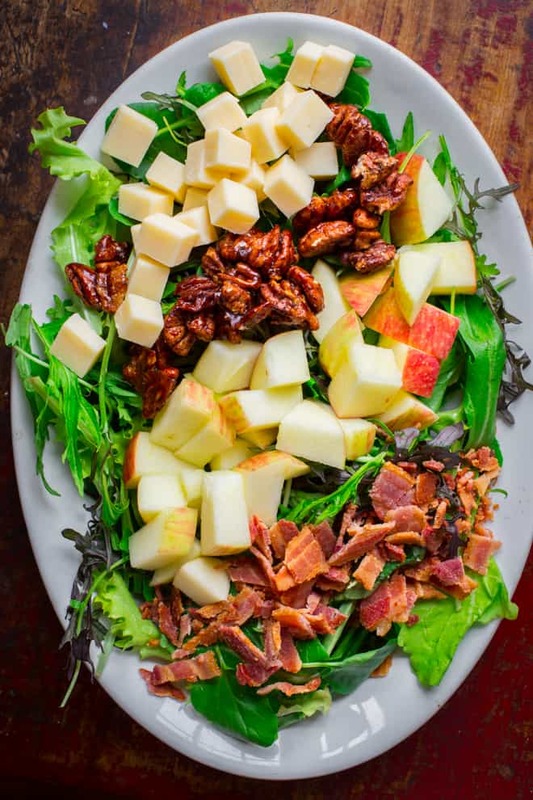 Arrange salad greens, bacon, apple, cheddar and nuts on four large plates. Drizzle with the dressing. DISCLOSURE: As a member of the Cabot Creamery Coop Cheese Board, I receive promotional cheese and products from time to time. I am under no obligation to write about them. I was not compensated to write this post. I just happen to love the heck out of their products. HOW GOOD is Cabot cheddar?! I may or may not just bite into a raw block for a snack because I have no shame, but your version of incorporating cheddar into ones diet is decidedly more classy! love the simple goodness of this one! I eat it straight off the cutting board every day too 😉 But I can’t exactlty post a recipe for that. Lol. This is my kind of salad, all that bacon and cheese and crunchy nuts all wrapped up in a healthy little package! Thanks so much for letting me know the link wasn’t working Cassie. I just found it and fixed it for you. It should work now. Enjoy!